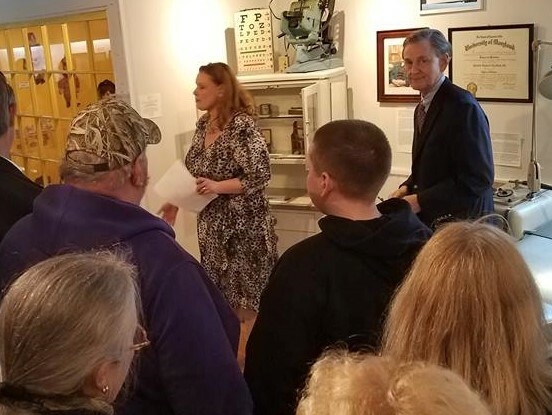 I recently returned to my home town again, this time not for myself, but to help my town honor one of their own with a special display about community medicine at the Julia A. Purnell museum in Snow Hill, Maryland. A display honoring a man who adopted the community from the first time he and his wife arrived there in the mid 1940’s when they were assigned there after medical school. They never left. A man who quickly acclimated to life in our quaint small town, and quickly established a practice which lasted 60 years until he finally retired. In his eighties. And yes, he worked every one of those years, taking a few vacations here and there, but seldom straying far from his adopted town and the people he adored. And the people adored him. He was a family doctor; an obstetrician; an eye doctor; an ear, nose and throat doctor, and of course a pediatrician. Whatever he needed to be at the time. Except for surgery; there he drew the line. And it was probably a good thing! It wasn’t unusual for the family to hear a knock on the door at night, and find someone there with an emergency, and of course, they were tended to immediately, whether dinner was over or not. And there were a few cases of gunshot wounds, stabbings, and other similar situations. For many years the good doctor had his practice in the basement of his home, with his one nurse to help out. (His wife was not a nurse; she stayed home and cared for their children. Upstairs in the living quarters.) I remember going there many times for colds, sinus infections, and various other childhood illnesses, as well as to play with his daughter and other friends, who were some of my classmates. Today, a doctor having his practice in the basement of his home would be unthinkable! No handicap access for one thing, let alone all the medical privacy regulations. After about 15-20 years in that basement office, he finally had a separate office built, which was connected to his home by a carport, and he also put in a dirt parking lot in the back for his patients. He also added another nurse/office manager. I remember that office well, with its formica and plastic chairs in the paneled waiting room, and his old well-used wooden desk in his wood paneled office. We thought nothing of it; it looked fine to us. He was our town doctor. Everyone loved him. He made house calls as well. For years. It was a natural sight to see him come to the house, always wearing one of his signature bow ties (I can only imagine the collection his family had by the time he passed away! ), and carrying his well-used black leather medical bag full of all manner of medical instruments, some we didn’t want to know about. Many of which are now on display at the museum through October. We all particularly remember the shots he gave. Back then they didn’t dispense all the liquids and pills of today. It was a shot of something, given by the good doctor himself. With glass hypodermics, and reusable needles. Sterilized, of course. And did we ever dread those needles…..! But we got well! The good doctor delivered over 2,000 babies during his 60 years of practice. Many were home deliveries, preferred by any number of his patients, rather than driving the half hour trip to the nearest hospital. There were many nights he was called out in the early morning hours to bring another new life into the world. And he never complained. He loved what he did. I was one of those 2,000+ babies. My mother had a lot of trouble carrying a child and had endured a series of miscarriages, which in those days were called spontaneous abortions. When she became pregnant with me, the good doctor put her on bed rest, where she remained for the majority of her pregnancy. Her doctor visited her probably once a week, carrying that old black bag, and making sure he did everything possible for her to be successful in bringing me into the world. His wife was also pregnant at the time, and due a couple of weeks later. I don’t know for sure but I can imagine my mom and his wife, who were friends, having lots of conversations about their pregnancies and upcoming deliveries. His wife already had three children so I’m sure she told my mom all about what to expect. I was born about 4 hours later, naturally, without a C-section. My mother said the good doctor kept watching the clock when I started arriving, because he knew he only had a certain amount of time to safely deliver me. He told her it was a girl before anything else. My mom asked if I was ok, and once again he answered in that same drawl, “well, she has five fingers on each hand, and five toes on each foot….” And she often told the story of how he kept singing and humming as he sewed her up after the delivery. Clearly, he was as delighted as the new parents were, that their daughter had arrived safely! I don’t think there are any doctors today who would deliver a breech birth without a C-section. And I probably wasn’t the first one he’d delivered like that. The good doctor also came out to our home in the middle of the night thirteen years later to attend to my grandmother as she lay dying from heart failure. And he was so upset to lose his patient…. He kept up with as much of the latest medical advances as possible, reading medical journals in bed the way most people read novels. He couldn’t get enough of the world of medicine. He loved his family, but he also loved his profession. He only retired for medical reasons, when he sadly knew he just couldn’t do it any more. And he passed away seven months later. The entire town mourned his passing. 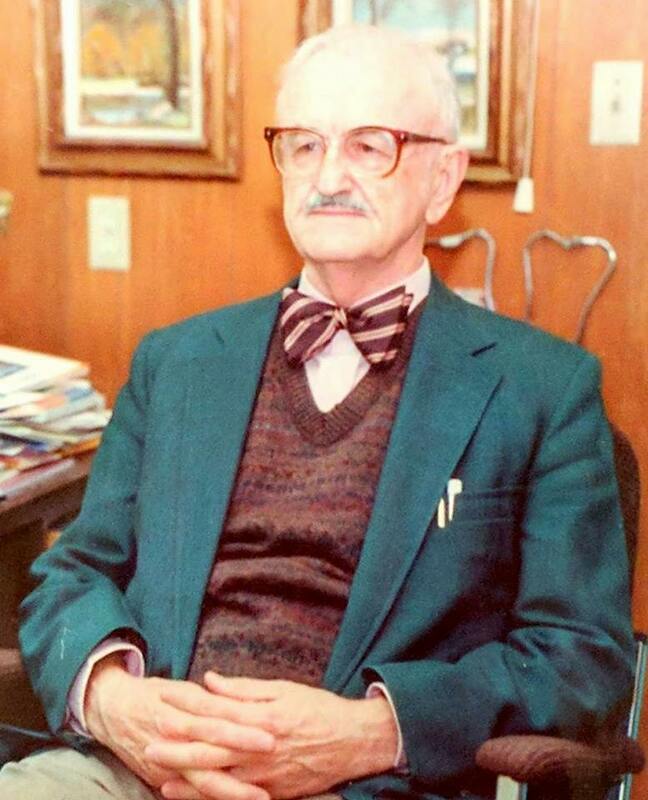 And now, twelve years later, his beloved town of Snow Hill is honoring his memory and his devotion to his patients, by presenting a six month long exhibit on Community Medicine: the Art and Science of Healing,” highlighting the life and career of Dr. Robert Charles LaMar. 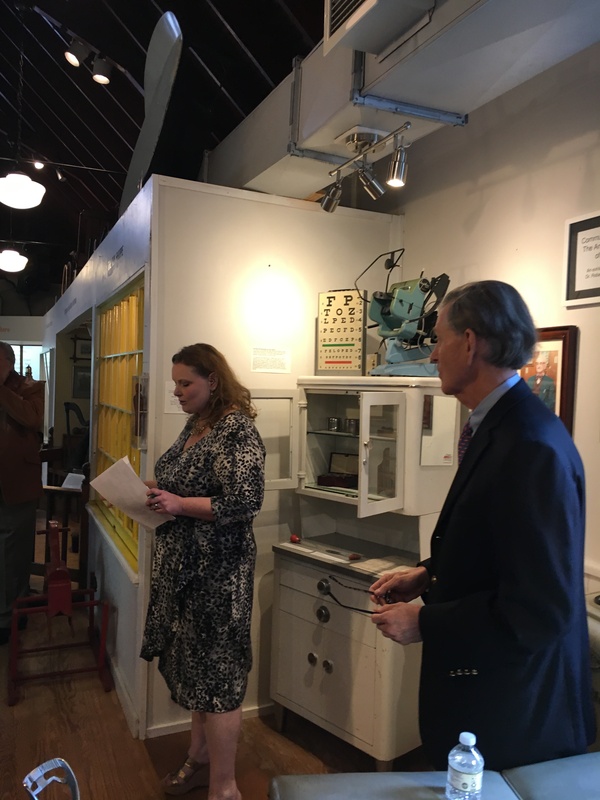 The exhibit features many of the items from his practice, including his exam table, original overhead light, his “famous” diathermy machine, and many of his other instruments, as well as his cherished medical school diploma. Dr. LaMar was one of a kind. There will never be another like him. He is greatly missed by all. We who knew him, and/or were brought into the world by him, and were treated by him, owe him a huge debt of thanks for his service and his compassion. Many of us would not be here were it not for him. Thank you, Dr. LaMar. You were one of a kind. And you are greatly missed. 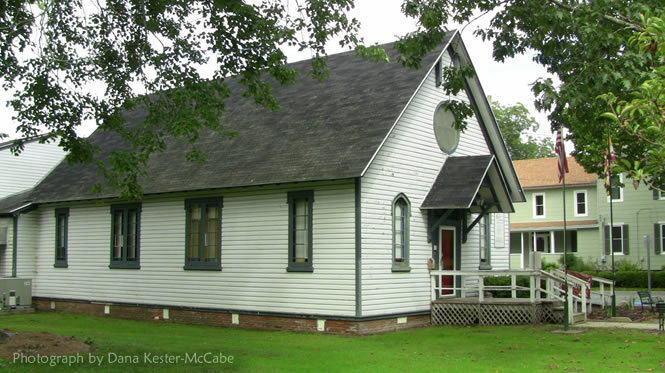 Click here for more information on the Julia A. Purnell Museum in Snow Hill. Next Here Comes the Easter…Flamingo?